Dominic Petrie (previously known as Y2D) brings us a superbly deep and soulful mix featuring tunes from Bungle, Tokyo Prose, Enei, Alix Perez, Paradox and more, and a sneak peak of his latest work Valid Invalid – look out for this one dropping on Nookie’s Phuzion imprint sometime soon! Smooth vibes all the way. Hungarian up-and-comer Mastif delivers four slices of dark, deadly neurofunk for Mindtech Recordings. Following in the footsteps of the likes of Jade and Mindscape, there’s no messing around on this EP; from the first track it’s straight into heavy, rolling breaks and warped neuro basslines with heavy sub underpinnings. The classic sci-fi vibes present on so many dark drum & bass releases ring through here too, but that’s not to dismiss this as identikit beats; this EP comes from a producer who’s at the top of his game, and it shows in the tightness of production and attention to detail present throughout. Check out the tracks below and grab the release from your favourite digital outlet, out now! MTWN team up with M-zine & Scepticz to bring us a tidy freebie in the form of their “Mos Beef Edit” of Otomy. Hip-hop enthusiasts will spot the vocal as lifted from Mos Def & Talib Kweli’s What’s Beef?, and the boys have put it to good use overlayed on a gritty stepper’s beat. Best of all you can grab it for free! Check it out below. Dispatch Recordings return with another great EP, this time from Czech techstep don Hybris. The appropriately named Gravitron EP has a really mechanical, robotic vibe to it, eschewing the organic sounds that some artists seek for a hyper-produced digital sound. The pick of the bunch for me is the superb drum-work and sub growl of Losing It. Look out for this dropping on April 1st and grab yourself a pre-order from Surus. When it comes to Ragga Jungle, it doesn’t get much rougher and tougher than J Bostron! 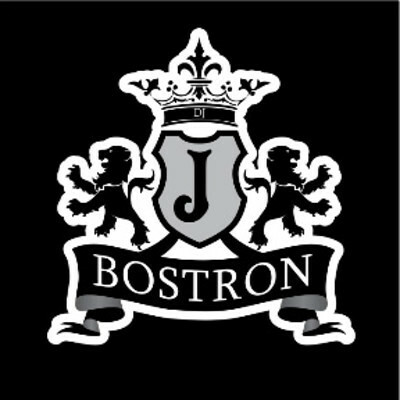 With a slew of releases on the likes of Audio Bullet, One Foot Skankin’ and Dub Chamber and allegiances with the newly launched Yardrock imprint, 2013 looks set to be another big year for Bostron. The man’s latest endeavour is a tasty 30 minute studio mixtape featuring cuts from the likes of Marvellous Cain, Aries and Bladerunner alongside a massive pile of new tunes and edits from Bostron himself. Expect rolling ragga vibes all the way! Check it out below and grab yourself a free download. Breakcore legend Venetian Snares has been digging in the archives and has come up with the long out of print printf<“shiver in eternal darkness​/​n”>; LP, which is now available via his bandcamp page. The LP is packed full of the unmistakeable Venetian Snares cutup sound, but bears a distinctly more jungle-influenced vibe than some of his other more raved up material such as Pink + Green or Chocolate Wheelchair. Dark, industrial sounds, heavy bass, chopped up breaks and hard static are present throughout. The re-release also features some bonus tracks that never made it out originally, and you can grab the whole thing for a measily $8 straight from bandcamp. Check it out and grab yourself a copy below! Up and coming US D&B producer Homemade Weapons brings us a tidy mix for Vancouver bass crew Fractured Technique! This one is all clattering snares and darkness, and with support from the likes of Loxy, dBridge, Skeptical, Clarity, Hybris, it’s no surprise. Check out the mix below and keep an eye on the FT Facebook page for news on their events. If you like it deep and dark then Genotypes‘s beats have always been the place to look, and his latest EP for new label Nurtured Beatz keeps it on that tip. Crisp, clean drum lines, atmospheric snares and dark, haunting sub is the order of the day here. Reigning it back from out and out neurofunk but still keeping the tempo high and the beats at full roll, Genotype delivers a solid EP of minimal steppers. Check out the beats below and watch out for the release dropping March 25th. The mighty Metalheadz are lining up their next release in their METHXX series and this time it comes from Astrophonica head-honcho and superb leftfield beatmaker Fracture. Audio for the A side isn’t out yet but the label have given us a sneak peak at Gangbusters on the flip. Combining elements of Juke and Trap with classic drumfunk-esque breaks and trademark grimey Fracture low end, the tune hits a different rhythm to most of the other material out there just now. Clearly Fracture hasn’t run out of ways to innovate just yet! Look out for this one dropping April 8th.